Green and Glassie: Have you heard of Loot Crate? Have you heard of Loot Crate? My grandson Caleb is a gamer. He is always on his X Box. Since he is on the Honor Roll Dawn gives him plenty of gaming time. I have found the newest subscription box made just for geeks & gamers like him. 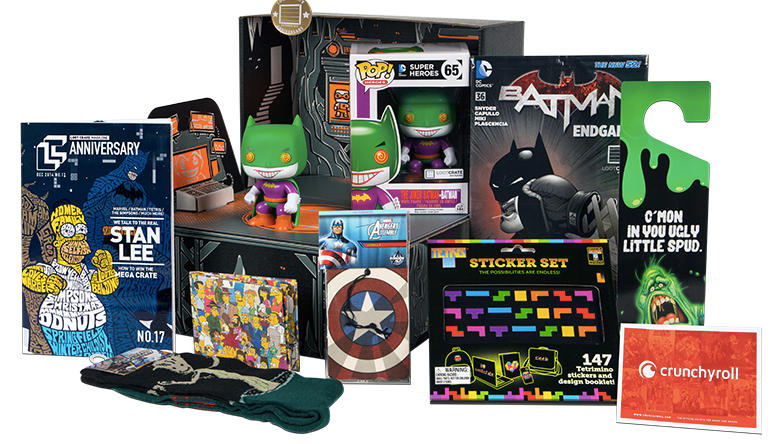 Lootcrate is a subscription box full of Geek and Gamer Gear. Do you know a gamer that would enjoy this fun box? Actually this is a first for me, but I can tell my husband and older girl would love it! Looks like it could make a nice gift for them. I have heard of Loot Crate! I haven't used it, but I think my husband (a big gamer) would love to receive the boxes for his birthday or Christmas! This is the first I've heard of Loot Crate. Thanks for sharing the information. There are several gamers in the family that would be thrilled with any of these plans. I have heard of Loot Crate and am considering signing up for my son. It looks like a fun box that he would enjoy receiving. I guess I have not heard of it. This would be good got the grandkids. I have been wanting to sign up for soooo long! I think I finally will! I've never heard of this box. I know some people, my sister, that would love this. Loot Crate sounds really great. My husband and son would love all of this stuff they are Gamers. I have never, ever heard of this. I think this is AWESOME, seriously (as the song Everything is Awesome from Lego movie plays in my head). Glad you are sharing this, because I honestly would never even had any idea about Loot Crate and I certainly MUST go check them out now! Wow this is really cool. My nephew would enjoy something like this! I love subscription boxes! I think my hubby would maybe like this one! Why they didn't have those when I was younger? I would have LOVED it I was such a huge gamer back then! Gotta keep this in mind for my nephew for Xmas! I have heard of it and was thinking of getting it for my boys! They would love it. My nephew is a gamer and a subscription naught be a great gift for his next birthday. I think he'd enjoy a special gift once a month. I've never heard of Loot Crate but I think my boys would love something like this. The variety in each box is awesome. My nephew would love this subscription box service! What a great reward for kids doing well in school! Wow this is pretty cool. I bet my son would love this type of subscription box. I have not. There's so many sub boxes out now, it's hard to keep up. THis one looks pretty cool for kids. That is the coolest! I'm signing my son up for this when his birthday rolls around. It's the gift that keeps on giving! I had never heard of Loot Crate before. I know several people who would love this! I have not heard of loot crate yet but I bet my boys would really enjoy this. What a great selection of items. Okay, this is one subscription box that I think I'd love! A subscription box for gamers? Genius! I can think of quite a few people who I know would love it! I heard a lot about Loot Crate lately. It seems like a subscription my son would love. Oh my goodness! My son is a gamer too and I know he would love this! My son is 13 an a huge gamer, so he would love a box from Loot Crate! I have heard of them but not seen what they had. Happy to see a box and the contents here! I've never heard of them but it looks pretty cool. Definitely enough neat stuff to keep you busy. What a bunch of cool stuff! My son would have loved the comic book and video game memorabilia! Those are so neat. My kids would love them even more if they had a minecraft loot crate. I have never heard of Loot Crates before but this is such a cool thing for game lovers! Wow Loot Cranes sounds so cool. My son loves Gaming as well and this is a great birthday gift. I've not heard of this before. This is really cool! I have never heard of loot crate before but I bet my nephew would love this. He is a big gamer. What an awesome selection. I bet my kids would love this he loves gaming! I bet a lot of teen boys would like this! Also, this would make for a great birthday present. I have not heard of this but I am sure it will be very popular. I love all of these different monthly gift programs. Subscription boxes are so much fun for kids (and grown-ups). I know my kids would adore having a subscription to Loot Crate. I have heard of this. My son has told me about it a few times. I need to check it out. I think he would enjoy it! I could use this for the grandkids. Looks really neat. My oldest son would love this! I'll have to check it out. I have not heard of this, but it looks like something my son would really enjoy. I bet my sister who loves things like this would enjoy Loot Crate. She is into sci-fi, games, and movies. wow, lots of stuff you got! My brother is a gamer! I'll have to look into this for my kids. They'd love it! wow, that looks really cool. I will have to look at this more as i'm sure my husband would like it. 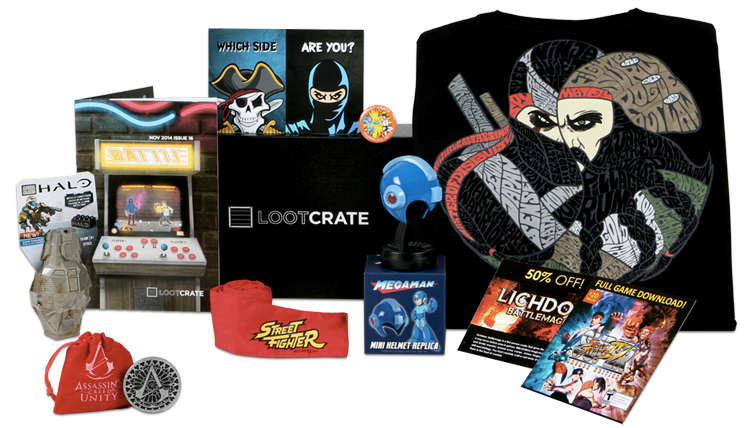 I've actually heard of Loot Crate and they have a great subscription service with great products that everyone would love. These look like great boxes. I really want those Groot socks. Love them!